Dr. Massimiliano Marcellino is a highly respected and successful Plastic Surgeon driven by a desire to make his patients happy. His knowledge, meticulous approach and personal service will ensure naturalistic results and the best possible outcome, whatever your reasons for surgery. 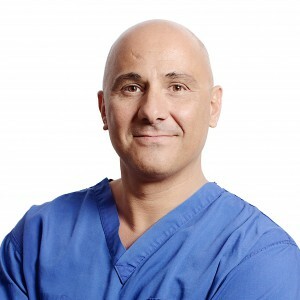 Based at Harley Street, London, Dr. Marcellino is one of the most experienced aesthetic surgeons in the UK, having personally performed more than 10,000 successful operations. Combining an Italian sense of beauty with a deep knowledge and meticulous approach, he is renowned for producing naturalistic and technically excellent results. From your first appointment Dr. Massimiliano Marcellino will put you at ease; informative but relaxed, he is focused on what’s right for you, the patient. Highly respected by his peers and trusted by his patients, his goal is to give you confidence in how you look. Dr. Marcellino personally oversees every aspect of the high levels of care he provides for all of his patients, before, during and after their treatment. His consultations are focused entirely on your needs, empowering you to make fully-informed decisions about the best treatment for you, whatever it is you are looking to achieve. As a certified Plastic Surgeon , Dr. Massimiliano Marcellino is technically proficient at performing a wide range of procedures. Particular areas of specialism include: Facial surgery, including Facelift, lipofillig, Eyelid Surgery , Otoplasty and Body surgery, including Breast Enhancement, Breast Reduction, Mastopexy, Abdominoplasty, buttocks augmentation with fat and Liposuction; and Male Cosmetic Surgery, including Gynaecomastia and Penoplasty. As one of the pioneers of Vaser body sculpting techniques and non-invasive facial rejuvenation, he continues to employ the latest advancements in cosmetic surgery and aesthetic treatments. He developed a technique for abdominoplasty with a low scar technique. In addition to his busy surgical practice, he offers the latest non surgical technique with natural results and he is interested in antiaging medicine. 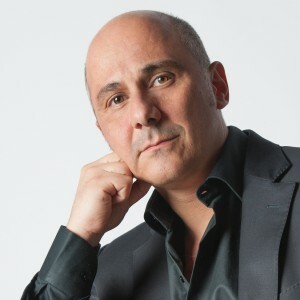 Born in Rome in 1971, Dr. Massimiliano Marcellino graduated in Medicine and Surgery with honours from the Sapienza University in his native city in 1995, going on to gain his specialism in Plastic Surgery with honours in 2001. From there, he moved to London to set up his practice in 2002. A regular speaker at industry conferences and published in over 70 scientific journals, he is internationally renowned as a leading authority in the field. Dr. Marcellino is a Fellow of the Royal College of Surgeon (England), Member of the Italian Society of Plastic Reconstructive and Aesthetic Surgery, a Fellow of the Royal Society of Medicine and Fellow of the International College of Surgeons.